Magazines and books in which our images are published. Collections of different types of mediterranean gardens. Garden features with different styles and seasons. 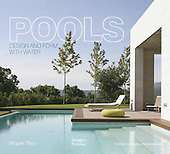 Collection of modern pools from different European houses. Collection of natural pools from different European houses. Gallery with some examples of modern European homes. Gallery with some examples of European country homes. Gallery with some examples of European homes in classic style. Gallery that contains some examples of modern kitchens. Gallery that contains some examples of country kitchens. Gallery with collections of modern bathrooms. Gallery with collections of different bathroom styles. Gallery where you can find some examples of different garden details: flowers, flower pots, sculptures, etc. Gallery where you can find some examples of interior details and inspirations. Collections of different vintage cars. Gallery with various photos subjects.